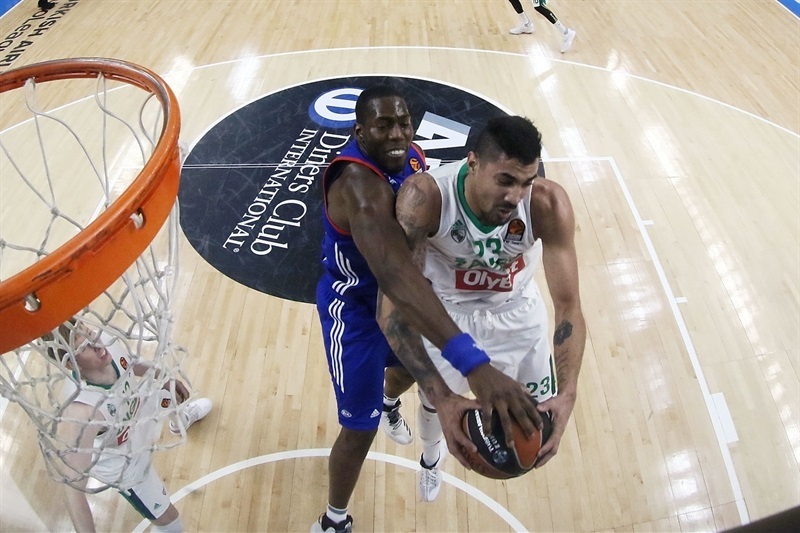 Zalgiris Kaunas sent a message that echoed all around the competition by downing Anadolu Efes Istanbul 71-84 on the road on Tuesday. 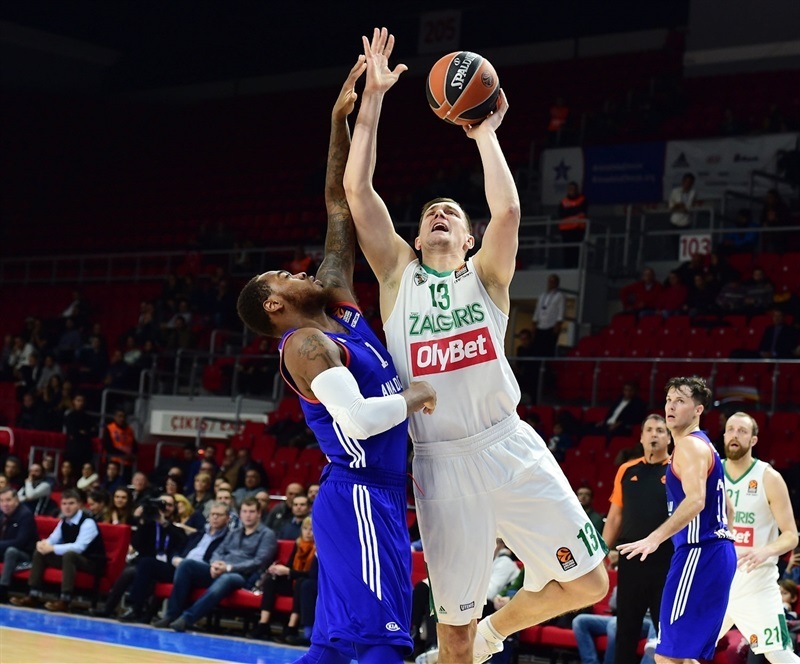 Zalgiris improved to 5-8 and recorded its second road win in the Turkish Airlines Euroleague regular season, while Efes dropped to 6-7. 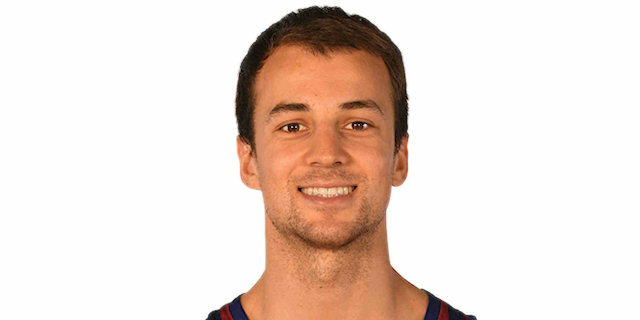 Kevin Pangos led the winners with 15 points on 5-of-6 three-point shooting. Edgaras Ulanovas added 14 on 5-of-5 two-point shooting, while Brock Motum scored 11 for Zalgiris. Thomas Heurtel led Efes with 18 points, Derrick Brown added 16 and Tyler Honeycutt had 12 for the hosts. Zalgiris found good options on offense throughout the first half, hitting 17 of 20 two-point shots (85%) and outrebounding Efes 7-18. As many as 10 Zalgiris players scored in the first half, helping their team get a 14-point lead, 30-44. 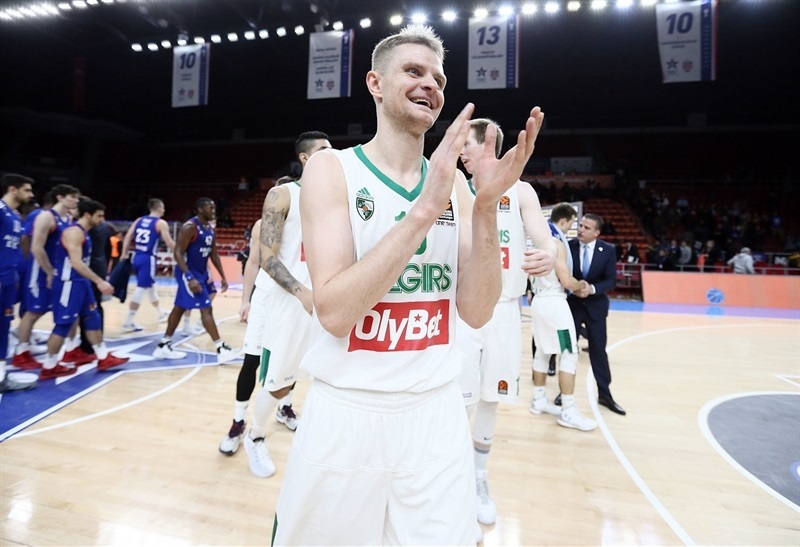 Despite committing 16 turnovers, Zalgiris kept powering the boards and kept a double-digit lead all the way until the final buzzer. 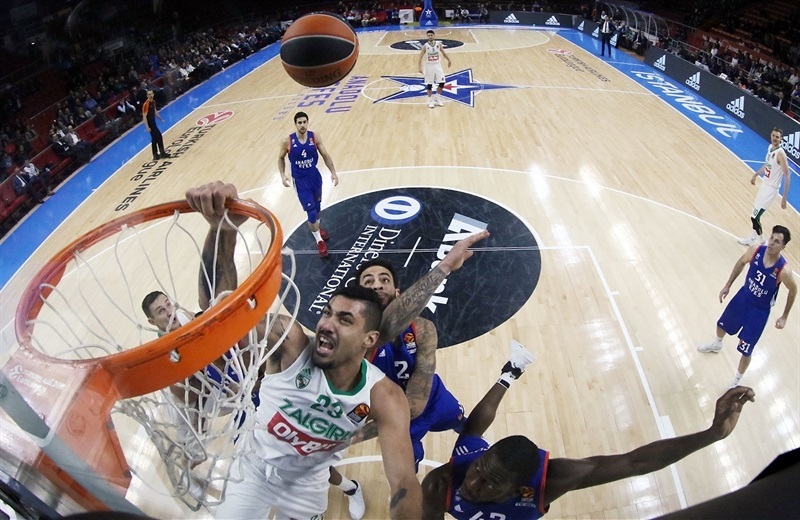 A dunk by Augusto Lima and a layup by Paulius Jankunas gave Zalgiris an early 0-4 lead. Bryant Dunston and Cedi Osman stepped up for Efes and a layup by Heurtel caused the visitors to call timeout at 8-6. Renaldas Seibutis had 4 points in a 0-6 run and Lukas Lekavicius followed a layup with a jumper to give Zalgiris a 13-16 edge after 10 minutes. 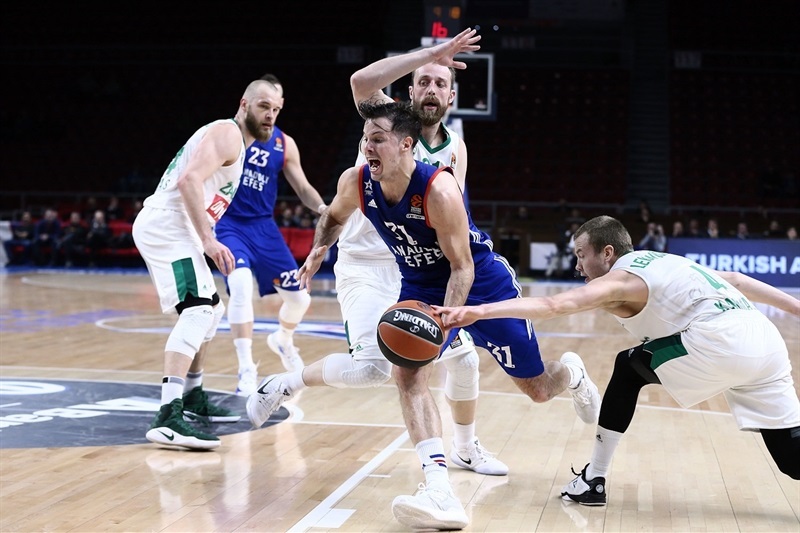 Zalgiris found new go-to guys, as a layup by Antanas Kavaliauskas, a three-pointer by Arturas Milaknis and an off-balance basket by Ulanovas saw Efes stop the game at 16-25. Dogus Balbay took over with a couple of triples, getting help from Brown and Honeycutt to bring Efes within 26-29. Zalgiris improved its defense off a timeout. Lima and Ulanovas converted respective three-point plays and Pangos struck from downtown to boost the margin to 30-44 at halftime. Brown tried to change things with a three-pointer and a layup-plus-foul soon after the break. 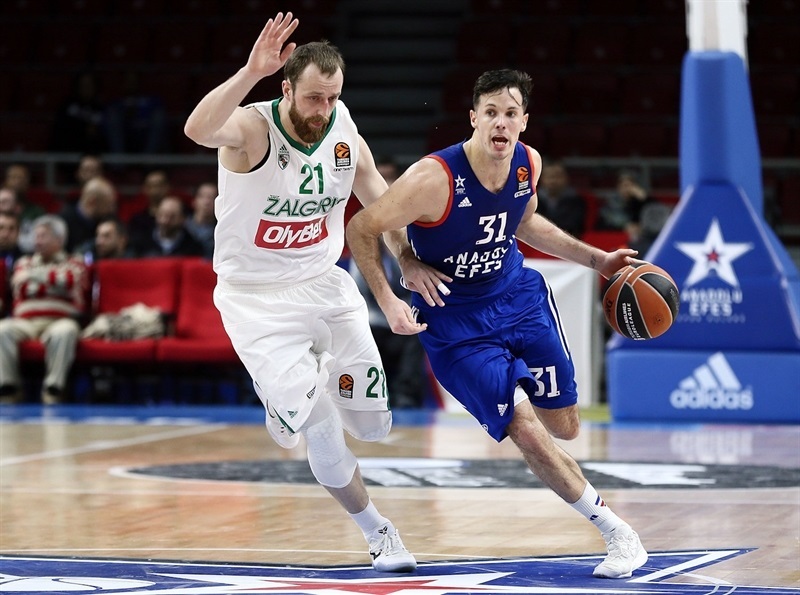 Pangos hit a three-pointer, and another, and another to prompt Efes to call timeout at 40-55. 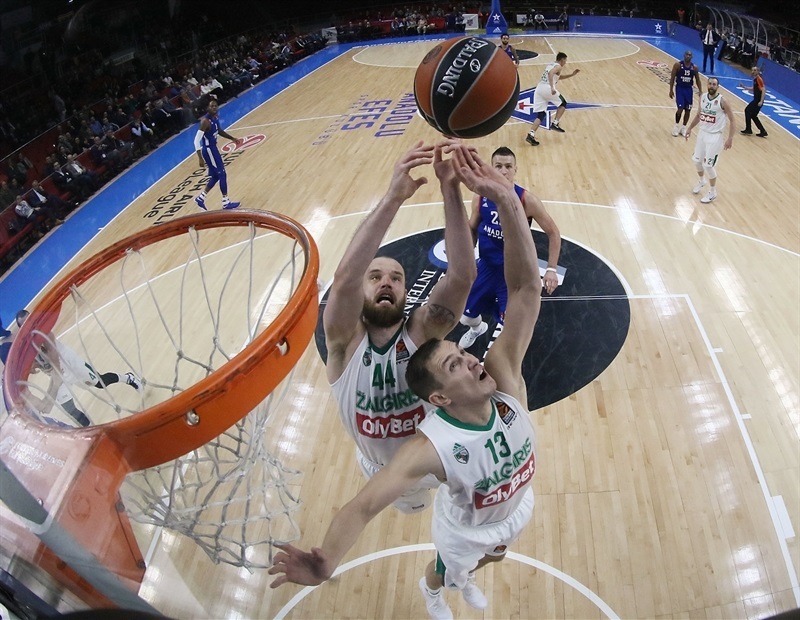 Kavaliauskas scored twice around the basket and Pangos hit his fifth three-pointer to break the game open, 47-64, enough for Zalgiris to keep a 51-66 margin after 30 minutes. 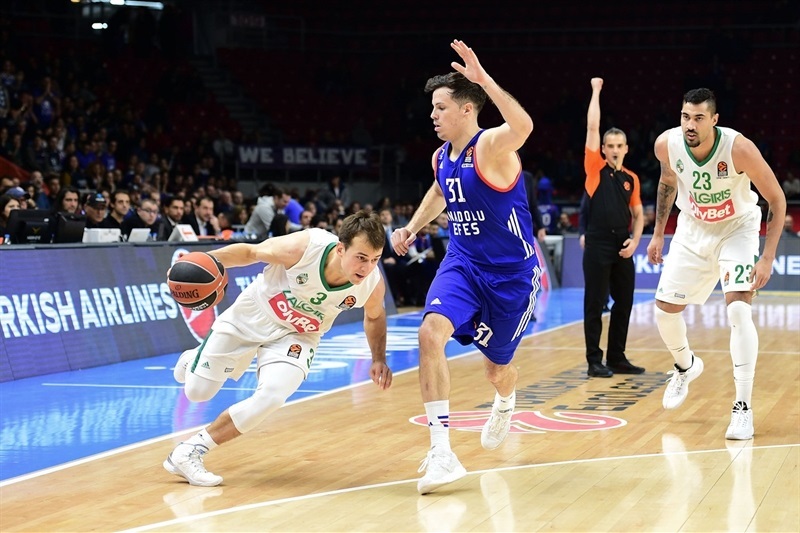 Nothing changed from that moment, as Zalgiris played twin point guards – with Leo Westermann and Pangos together on court - to keep full control of the game. A corner three-pointer by Motum sealed the outcome at 58-76 midway through the fourth quarter. 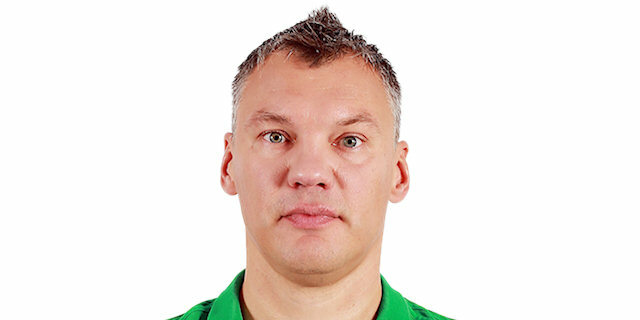 "Congrats to Zalgiris. They played much better. The key of the game was rebounds. They had always half of the possessions they missed because they took offensive rebounds. Also in the beginning of the game we started without energy. When we had the possibility to make some difference, we finished the first period 3 points down. Also the second quarter in the first two, three minutes, they made this advantage. Life goes on. We have two games this week. Mentally and physically we must be ready for Thursday’s game." "I think we played very solid. I think we struggled at moments against their pressure but, in general, I think we risked what we wanted to risk; sometimes we get lucky, sometimes we don't. We were the most aggressive team tonight. Playing against such an athletic team, it is most important to handle the pressure. 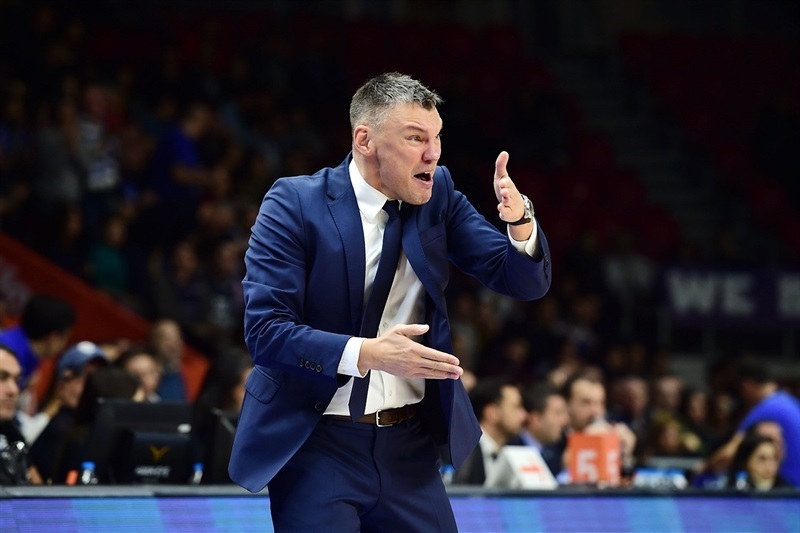 Our guards were having problems [early in the game], but this is Efes's quality; they are athletic, long and disturb you a lot. 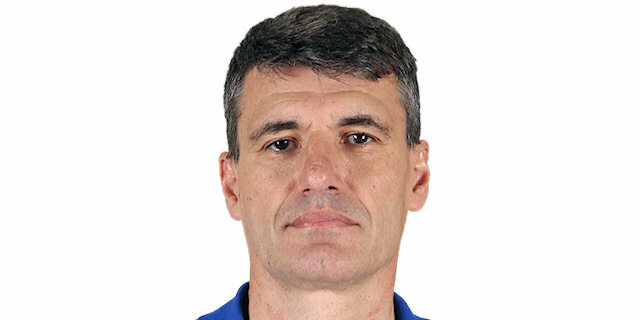 It is very important to prepare everything well and most of the game, we were doing it. I think that the key was rebounding and the fast break points. I think we avoided a lot of easy points, which is always the key in basketball. I believe this is one of those games that we have to forget very quickly and immediately be ready. We are going home, where we get great support from our fans. I am hoping there will be a full gym. 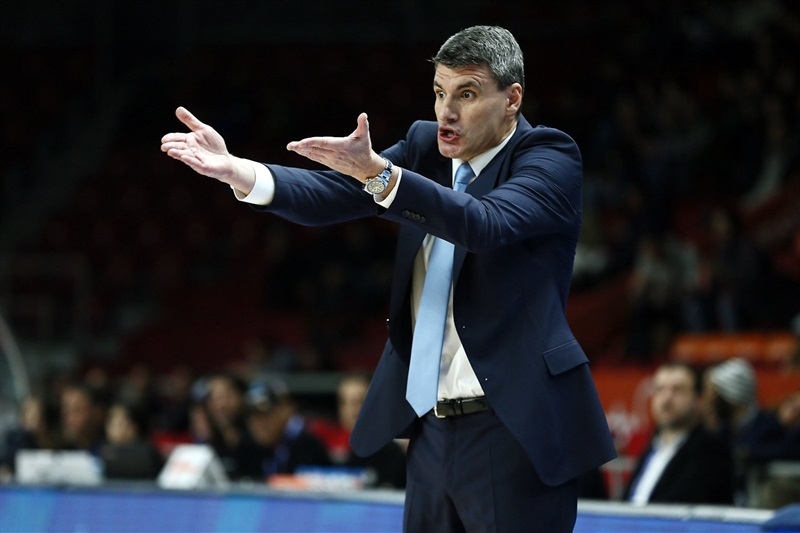 We play against one of the teams that will battle for the eighth spot, Unics Kazan, in the future. It is one of the most important games of the season for us." "We have confidence as a team. We believe that we can win every game and that is what we have to do. We came in with a good game plan and I think we did really well with that. It worked out for us. I was happy I was making shots, but overall I think we were good defensively. When we are playing good defense, our team is really successful. That was the key; the shots are extra and it felt good, but defense was important. It is always good to start [the double week] with a win."